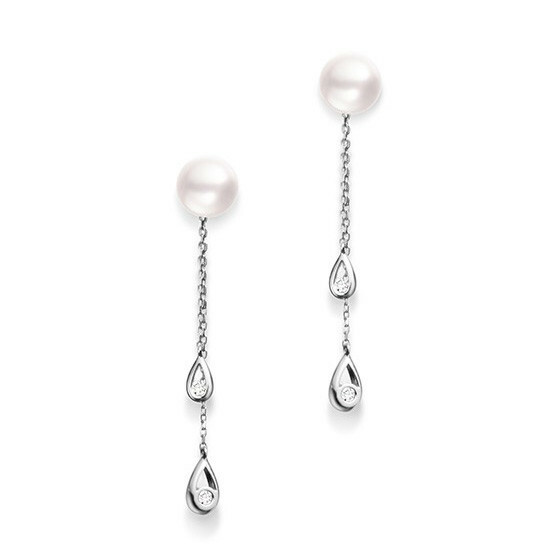 These Mikimoto earrings, from the Eve collection, offer two looks in one. The convertible jewelry has a 7.5mm Akoya pearl post that can be worn alone, or with the addition of an 18kt white gold chain that connects to suspended teardrops. Each openwork shape holds a diamond. These Mikimoto drop earrings exhibit a fusion of quality and design.